We recently completed a very fun project in the first-floor gym of our downtown townhouse! 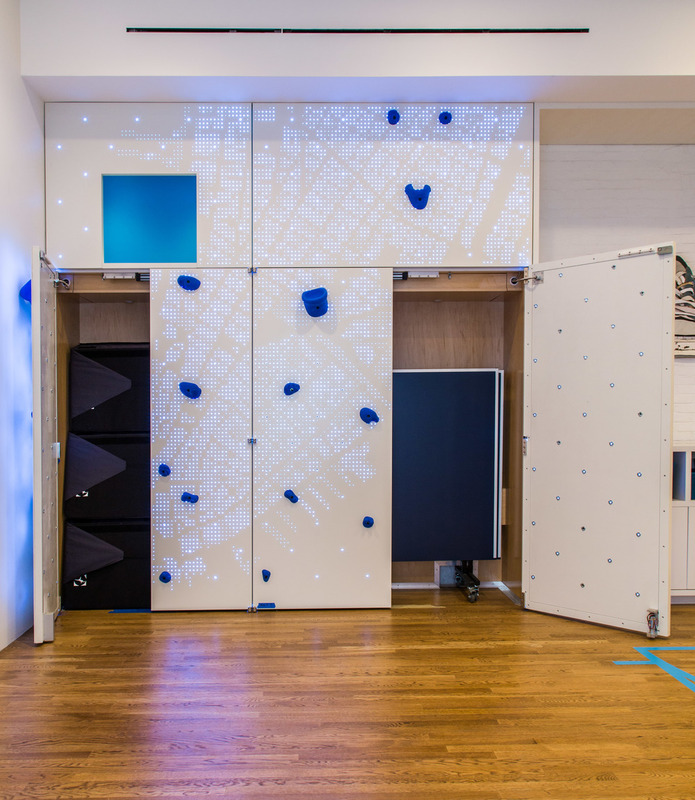 With the help of Rush Design and Faro Construction, we created a parametrically-designed LED map of lower Manhattan across a floor-to-ceiling climbing wall, complete with a fort space that overlooks the rec room. When illuminated, it produces an awesome effect, and also provides some hidden storage. Take a look! Extra hidden storage for mats and ping pong table.